Easily send targeted communications to groups of event participants. 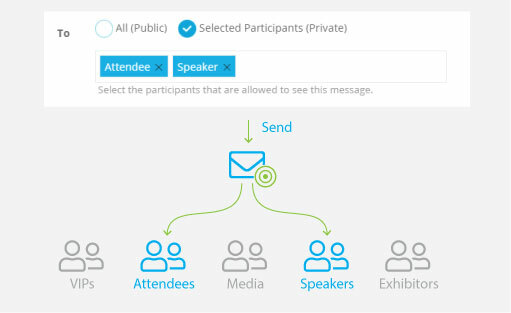 Share event details with the right people using our email tools & built-in event app. 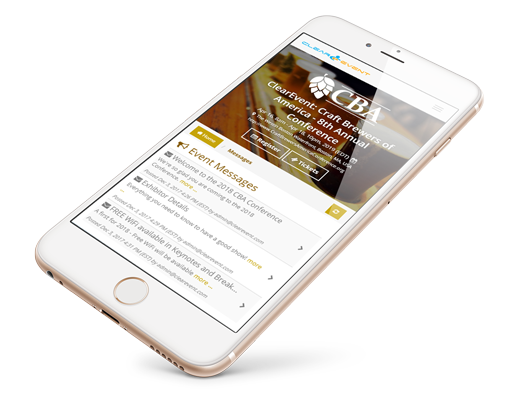 ClearEvent’s event communication tools enables you to easily reach out to large targeted groups of attendees quickly and effectively. Any messages you want to convey are posted to your very own Mobile Event App and are kept in one place. Nice and tidy. All event participants have access to the Mobile Event App on any cell phone. Participants no longer need to dig through email inboxes for important event information. Nor will they have to worry if they’ve accessed the most current version of your event schedule. Advanced segmentation and tracking tools let you target messages to specific participant groups. Built-in message tracking makes sure you don’t send duplicate messages to participants. Attach files like floor plans, detailed instructions, maps and more to your messages. Attached files will stay organized and accessible anytime, anywhere with the Mobile Event App. Your entire organizing team can use ClearEvent’s communication tools to keep your attendees up to date. Finally, a simple way to communicate with event participants. Let’s face it, sending messages by cutting & pasting names into emails is error prone and painful! With our event communication tools, your event can now reach out, at any time, to any of your event registrants, including the public! Modernize Your Event Communication Tools.